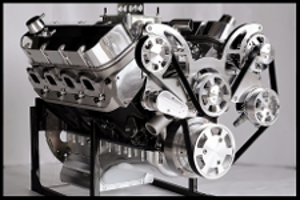 FEL PRO BBC CHEVY V-8 TIMING COVER GASKET KIT. The chain of command between a crankshaft, camshaft, and engine valves is central to your vehicle's basic movement, which is why it's so important to protect the timing belt. Fel-Pro timing cover gaskets provide a tight seal to keep contaminants out of the gear shaft area. They are offered in more than one hundred single or multi-piece sets for OEM-type fitment on a wide variety of cars, trucks, vans, and SUVs. Gaskets for industrial use are also available. NOT intended for racing applications. 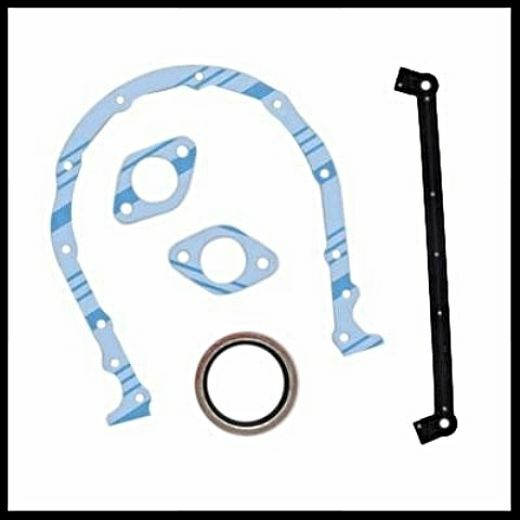 These Fel-Pro gaskets are made from blue stripe cork and rubber. Choose the kit that matches your timing cover specs.